Slightly thicker than the G1, the Evans G12 Clear is still highly responsive and open. The G12 adds more projection, durability, and a small boost to the midrange and low-end. 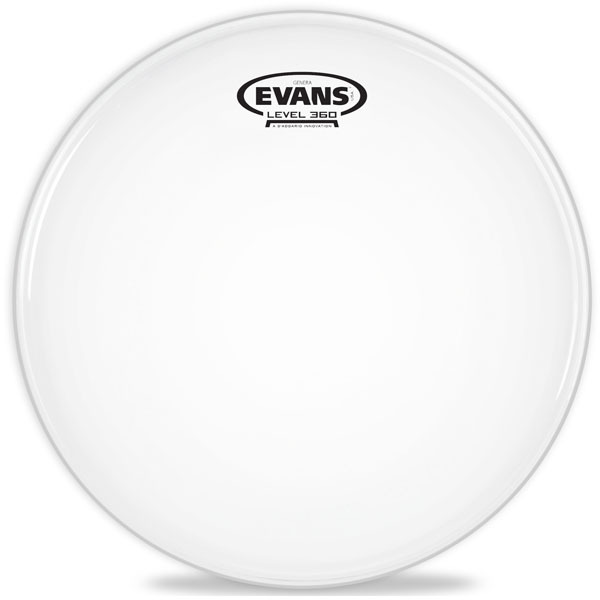 The Evans G12 Clear is made with a single ply of clear 12mil film. 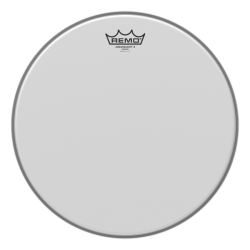 This drumhead is more durable than thinner 1-ply heads, and balances some of the the bright edge with a more midrange and low-end sound. This creates a slightly more focused and projecting drumhead, without losing sustain. The thicker clear single ply gives a boost to the attack, making the Evans G12 Clear a good choice for more noticeable drum strokes both live and in the studio. Compared to the coated version of the Evans G12, the G12 Clear is brighter and more cutting. While slightly thicker than a standard single-ply head, the 12mil ply is still very responsive, making the Evans G12 usable and sensitive at moderate and lower volumes. For very light drumming, however, it’s important to note that the G12 may not be responsive enough. 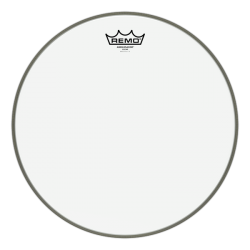 Where this drumhead really shines is for moderate and heavier playing. 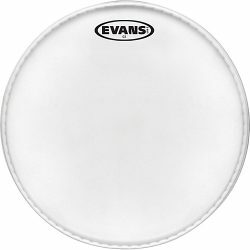 If you like the full and open sound of the Evans G1 but want to hit a little harder, the G12 Clear is definitely worth trying. The Evans G12 Clear is a great choice for an open, versatile, and durable single ply drumhead. This head is great on toms, and also on snare drums if you don’t plan on playing with brushes. For brush use, check out the very similar Evans G12 Coated.